This month we tried and tested several new skincare products that achieved their claims and passed the testing. Following is our recommendations for every gentlemen’s bath this season. 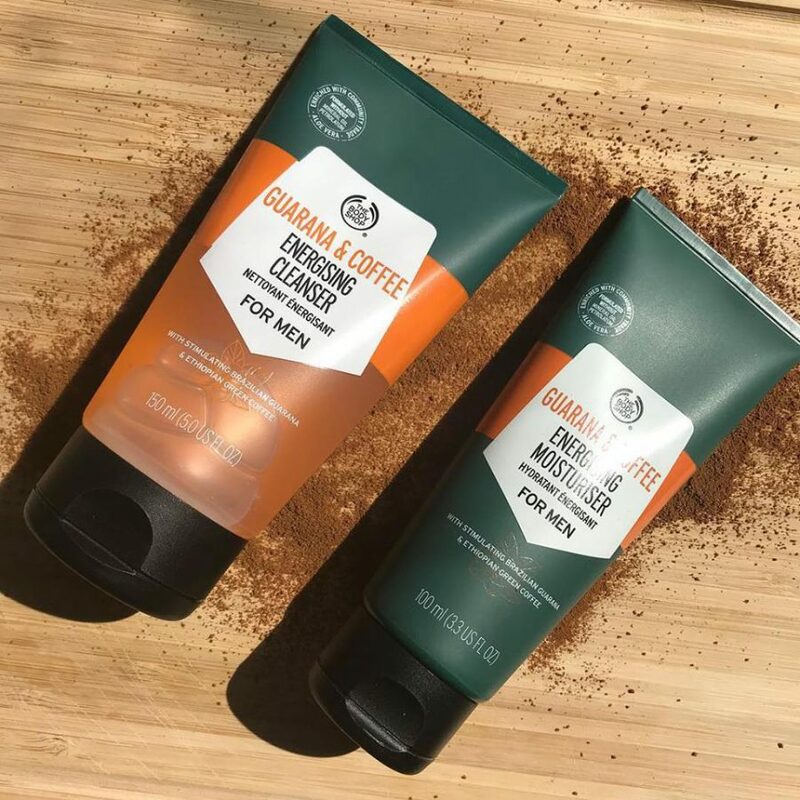 With it’s fresh, clean scent and invigorating lather, the Guarana & Coffee Energizing Cleanser from The Body Shop made our list this month. It’s made with Brazilian guarana and Ethiopian green coffee for its stimulating effect. We also like the Guarana & Coffee Energizing Moisturizer. Together, these products help me get clean and keep a healthy glow. 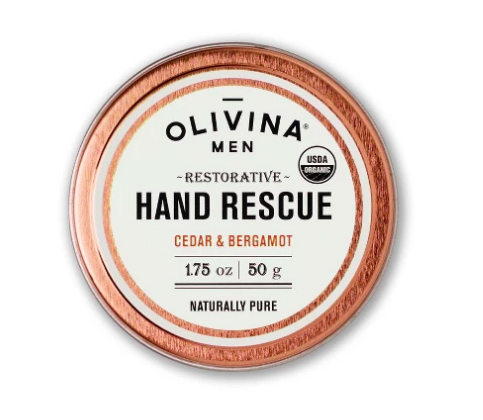 Made with cedar and bergamot, The Olivina Hand Rescue is a must-have for all men, especially with the colder weather. This restorative hand cream softens calluses and soothes chaffed palms, knuckles and fingers. We discovered that it also makes nails shiny and healthy looking. This product is certified organic. 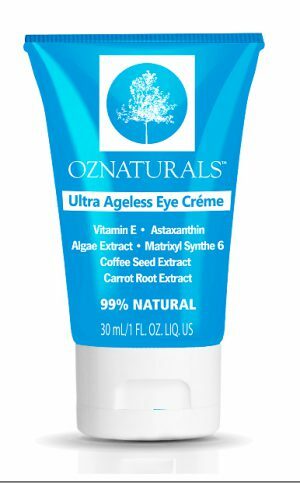 The Ultra Ageless Eye Cream by OZNaturals made our list for its claims of addressing wrinkles, laugh lines, dark circles fine lines and puffiness. After testing for over one week, we witnessed a noticeable change with decreased puffiness and fin lines. The product contains algae extract with restorative amino acids to help keep the skin hydrated moisture levels balanced. We will be reviewing other OZNatural products in the coming weeks. 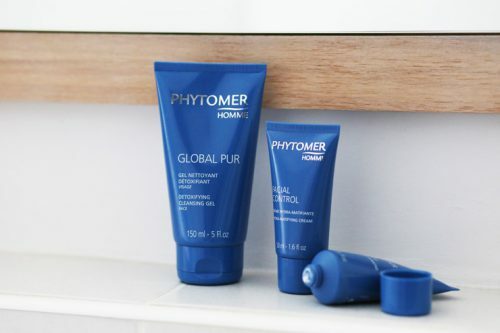 Phytomer Homme creates some amazing products for men. This month we chose their Aqua Optimal. This face and eyes soothing moisturizer is made with weaving algae, lumnaria digitata, marine sugar and marine oxyllum. These ingredients keep the skin moisturized after the first use and remains hydrated from morning to night. We chose this product for its soothing effect. Redness is reduced from wind burn and the skin is soothed even after one application. Read Metro Man every month for the latest in men’s fashion, grooming, hygiene and products for men.